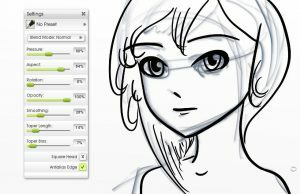 This tutorial helps you get started before you actually draw and colour something for the Drawing Manga in ArtRage: Sketching and Inking and Drawing Manga in ArtRage: Colouring tutorials. 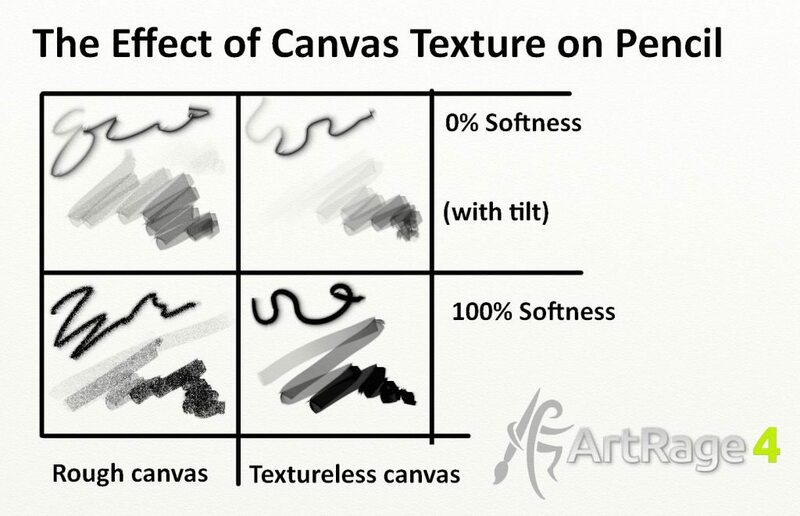 ArtRage uses a real world painting canvas texture by default, but you probably don’t want this for most of your cartoon and manga drawings. Instead, you want a very flat digital background that won’t distract from, or interact with, your tools too much as you draw. This tutorial assumes that you are using ArtRage 4. While most of these options are available in other editions (including the mobile apps!) the menus may look a bit different, and some of the most advanced settings are only in ArtRage 4. If you don’t currently have ArtRage, you can download the demo and follow along! We have noticed a lot of first time users aren’t really aware of the range of options buried in the tool settings and spend a lot of time struggling to mimic Copics and ink with the oil brush, or trying to colour evenly with the watercolour brush, which just aren’t designed for that sort of thing. Once you have created your drawing, you can then go back and add a wide range of effects and explore more advanced options. Pay attention to the shortcuts. ArtRage 4 has a very long list of possible shortcuts and most of them are completely customisable. Shift will let you draw straight lines. Ctrl + Shift will let you draw straight lines at angles. Tool sizes go up to 500% in the desktop editions! Hold Shift and drag right on the canvas area, or click the size and type in a number. To get a flat white digital background, go to the canvas settings and edit the canvas texture and colour. You can customise your canvas to get any effect you want. Important: Canvas Texture affects your tools as you draw, so changing the texture later will not change the strokes you made earlier. You can change the background colour, patterns and canvas lighting at any point as these do not interact directly with your strokes. The pencil is very responsive to the canvas texture. The canvas lighting is used to create 3D effects for the paint and other tools and casts a slight gradient over the background. Turn the lighting effect on and off in the Canvas Settings or by pressing F5. You can toggle the Canvas Lighting on and off as you work without affecting your drawing. Most of the screenshots in this page have Canvas Lighting on (mostly because I kept forgetting to turn it off when taking screenshots), but here’s an example of the difference. The Canvas Lighting effect isn’t always obvious until you export the image. It will not have much effect on the very flat tools that we will be using in this tutorial, so you might decide you don’t want it at all. If you plan to use the Oil Paint, for example, then it will make a big difference. The canvas lighting just affects the appearance – like switching a light on and off. The textures are still there in both versions. 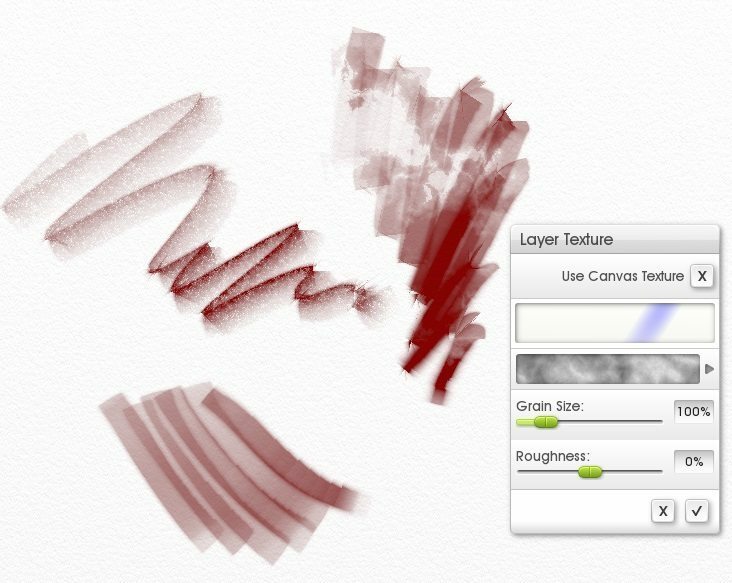 What if you want to sketch with texture on one layer, draw smoothly and digitally on another and make neat watercolour effects on a third? Or you don’t want to constantly change the entire canvas back and forth? 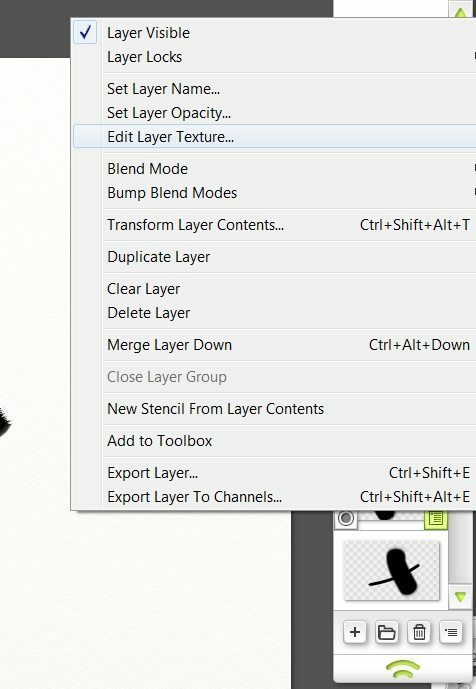 Then you can set each layer to have its own texture, so you can customise each one to act exactly the way you want! Now you know how to set up your canvas, you need to actually draw something! This means that you need a pen or pencil to sketch out your character and ink it nicely, and then you need to lay down some basic colours and shading.